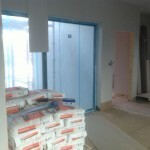 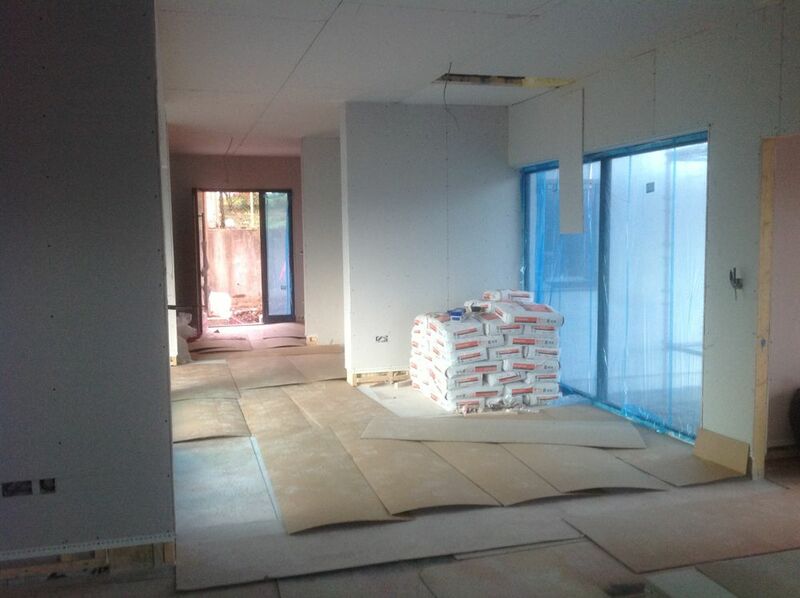 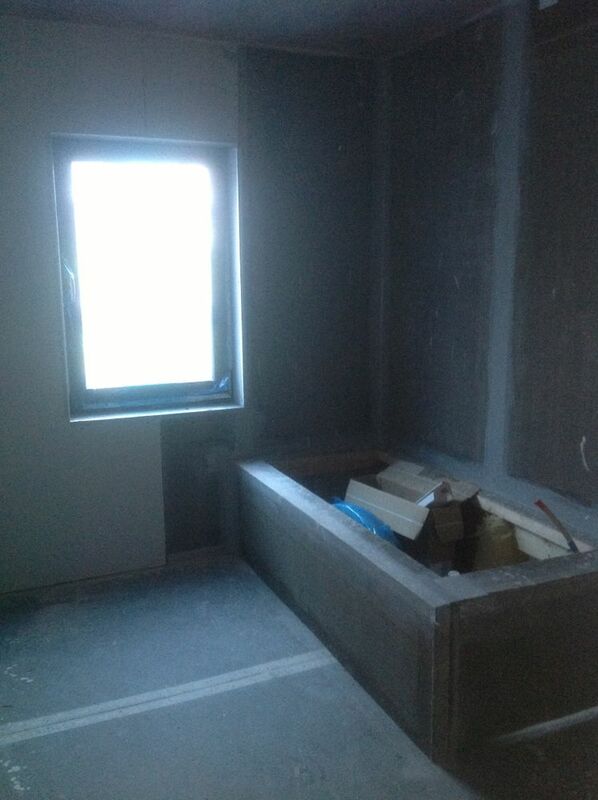 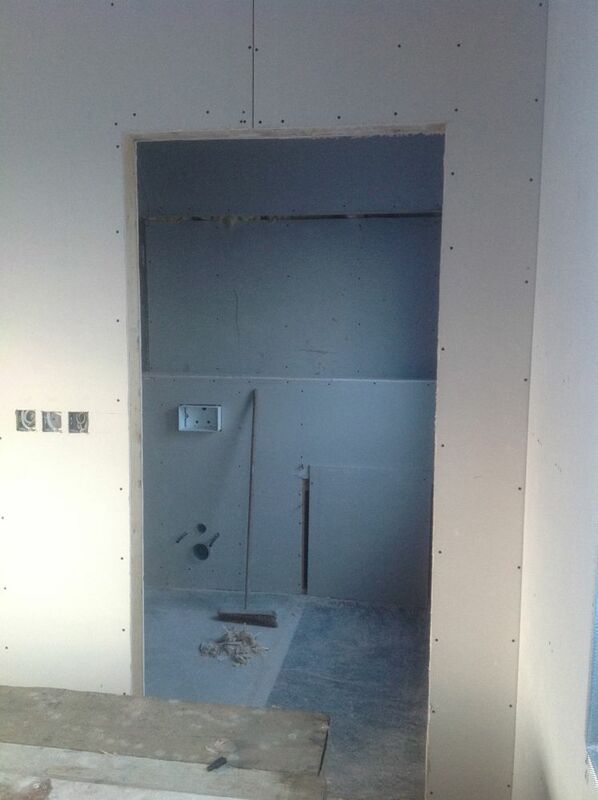 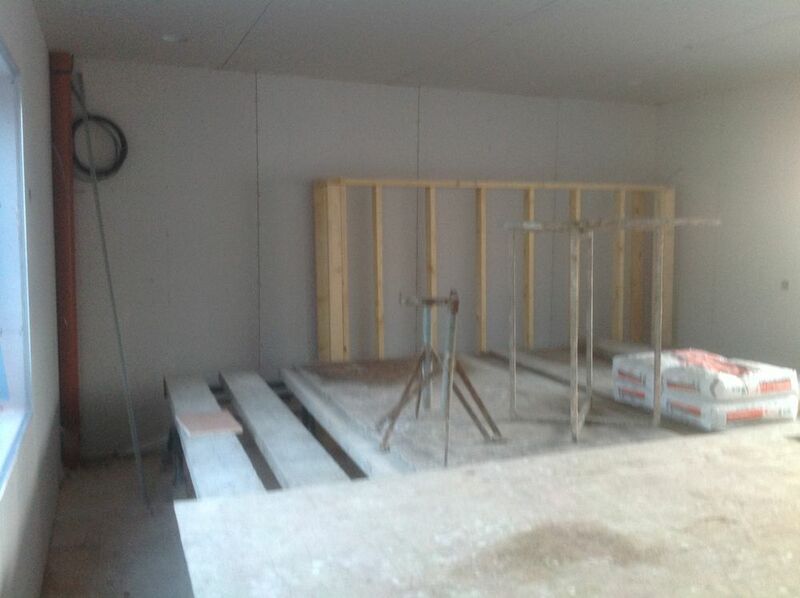 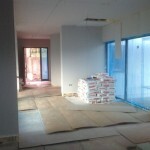 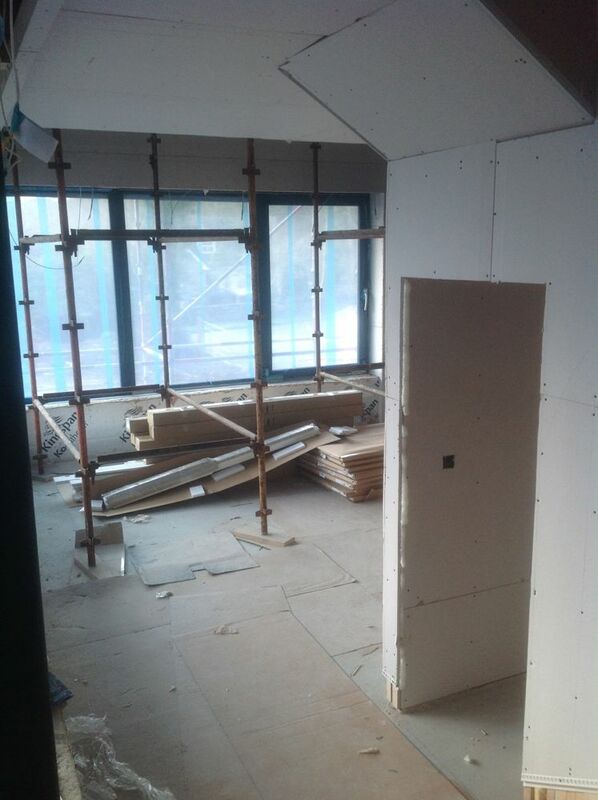 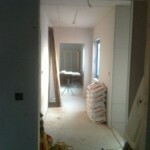 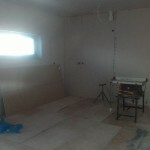 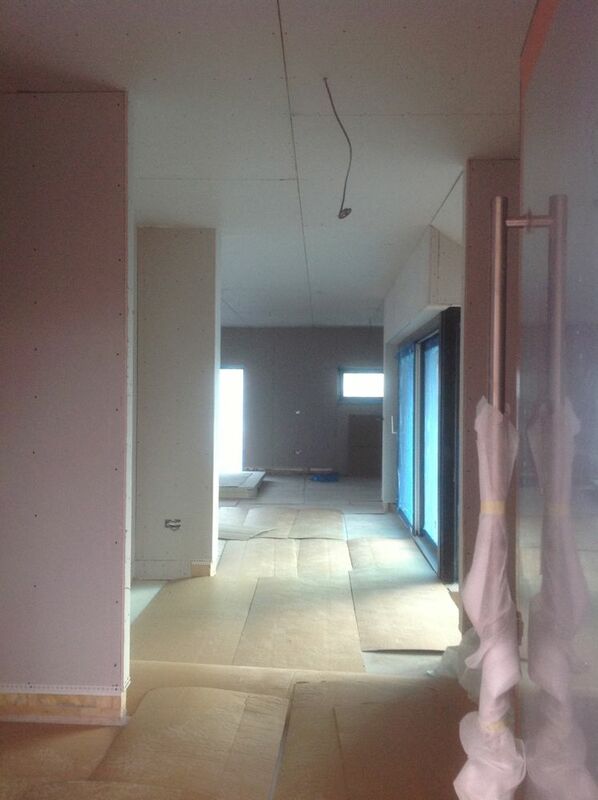 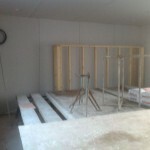 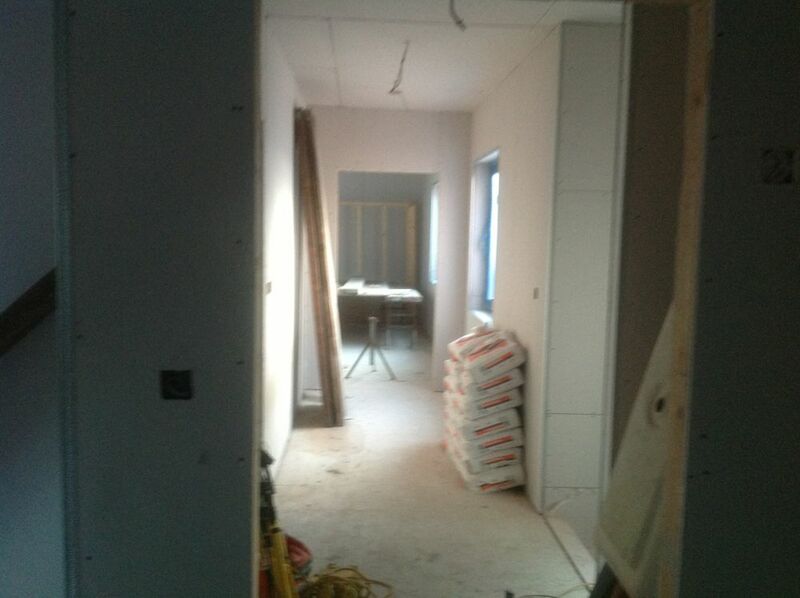 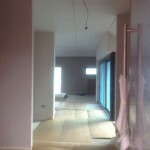 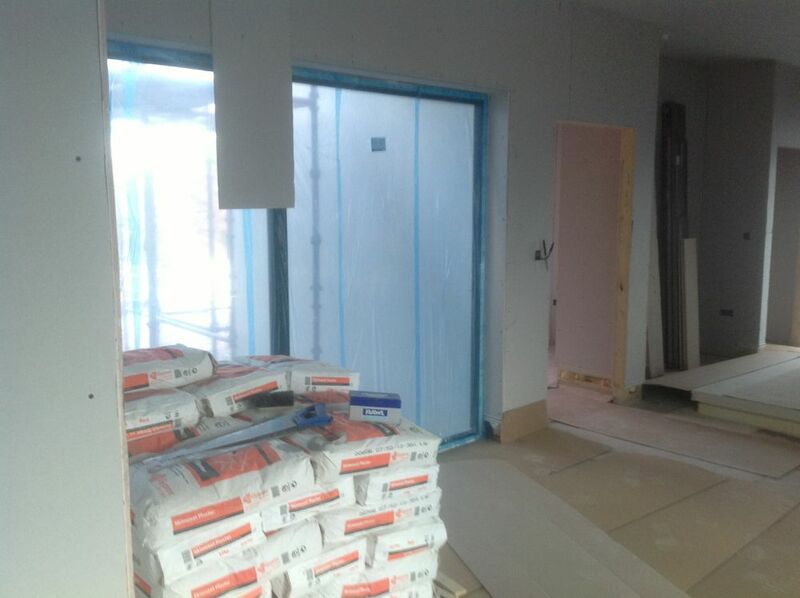 The last few weeks have seen all the internal walls fitted with plasterboard. 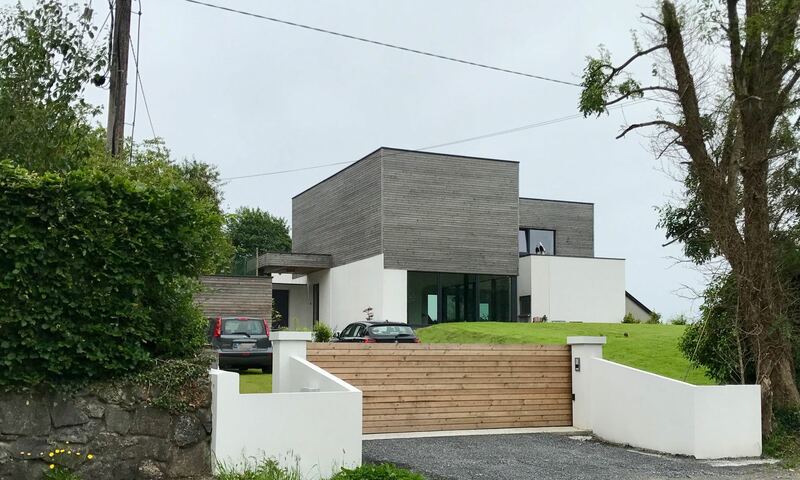 Brian O’Sullivan & his guys have done a great job throughout the house, sorting out lots of small details in the battens and walls to get every inch of the house covered. 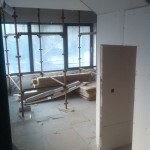 A number of walls had to have additional timber battens added to allow for the incorporation of the rainwater pipework at the corner of the bedroom, kitchen and living room. 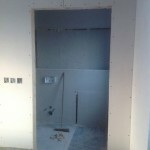 Concealed cisterns in the bathrooms and grounds for fixing sinks and toilets had to be added too. 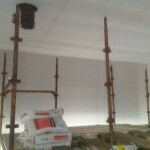 In the pantry beside the kitchen the ceiling was lowered to cover the ducting for the HRV system. 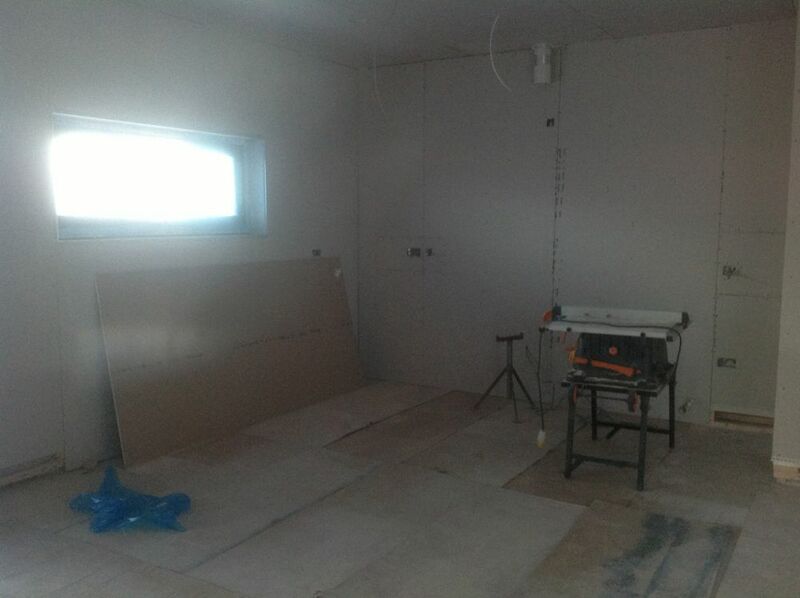 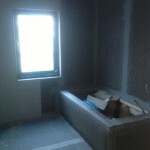 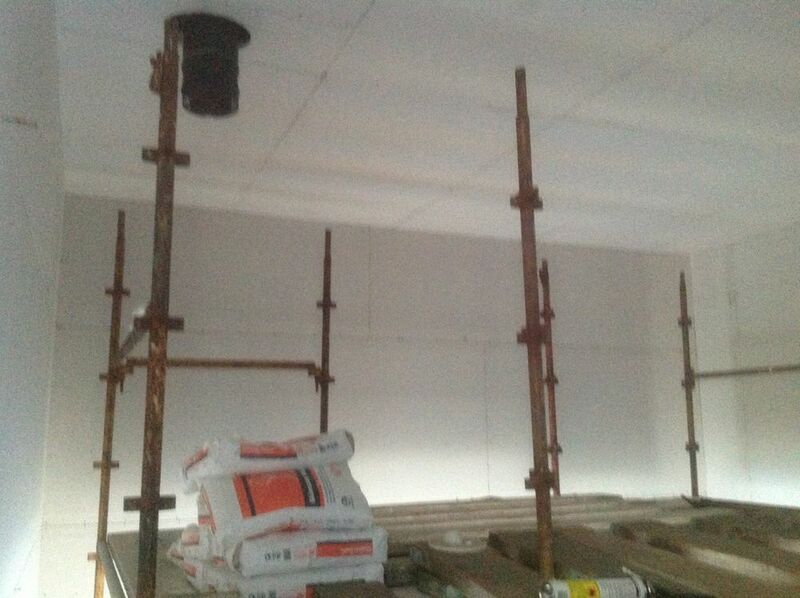 The plastering of the walls begins and should take about a week and a half and be completed before the end of the month.